Dogs are amazing and complex creatures that never cease to amaze us. Their behaviors and abilities may be diverse, unpredictable and hard to explain rationally. 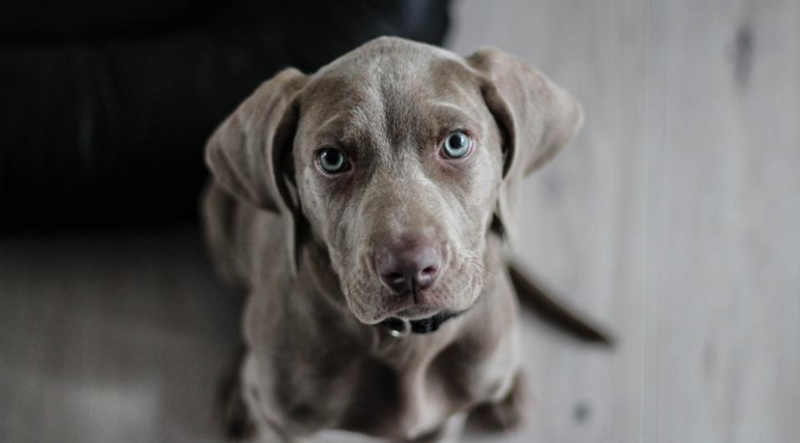 Scientists have conducted many studies to find out more information about dogs and their particularities, most importantly their extraordinary senses that can save our lives. Dogs are appreciated for what they’ve done for humans, saving their lives and alerting them of danger. They have been proved to be good at sensing medical issues that people cannot identify by themselves as well as changes in the environment and natural disasters. If well-trained, dogs can become real heroes and extraordinary companions. They have soft skills that can develop through consistent training sessions. Some breeds are engaged in social activities dedicated to saving lives and alerting people of danger. At Premier Pups Reviews, our customers share with us their experiences related to happenings they went through with their four-legged companions, some of them really fascinating. Customers relate to their dogs’ capabilities to sense illnesses, emotions and different events that are about to happen. We’ve created a list with the most frequent situations. Trained dogs are able to warn people that they will have an attack minutes or hours before it happens. Dogs can predict an epileptic seizure on an average of forty-five minutes before it happens because they are capable of smelling the changes that happen in the human body. Dogs also notice behavioral changes that humans are not able to identify in such situations. Dogs are also gifted to predict environmental changes such as tornados, earthquakes, tsunamis and other types of natural disasters before they happen. They usually warn people some minutes before such phenomena occur. They behave unusually, they start barking excessively, biting, whining or pacing back and forth. 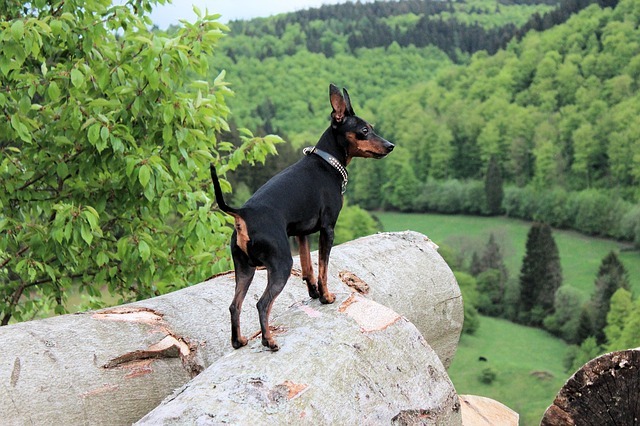 Stanley Coren, an author of books about dogs’ intelligence and behavior, explains that dogs’ ability to sense earthquakes is related to their keen hearing. That means that dogs hear the movements of rocks underground before an earthquake. Dogs hear four times as far as humans. They are able to hear higher pitched sounds and detect a frequency range of 67 to 45.000 hertz, which is considerably higher than the human range which falls between 64 to 23.000 hertz. This means that dogs can hear sounds that are four times farther away than humans can. Furthermore, research shows that dogs with erect ears are able to hear earthquakes sooner compared to dogs with floppy ears. Dogs have sharper senses than humans and they also feel the changes in barometric pressure and in the static electricity in the air. That’s how they are able to predict a snowfall or rain. They sense thunderstorms by smelling the ozone of lighting in the air before the flash appears in the sky. Furthermore, when a tornado is about to come, dogs tend to become distressed and they hide in various places. Due to their excellent sense of smell, dogs can detect extremely subtle scents in the human body simply by sniffing a person’s breath. Because cancer cells produce different waste products than normal cells, they create chemical traces so significant that dogs can detect cancer cells even in the early stages of it. Dogs are also able to identify changes that occur in the skin chemistry where wounds appear. Furthermore, well-trained dogs can detect a skin cancer called melanoma by sniffing a skin lesion and detect if it is cancerous or not. 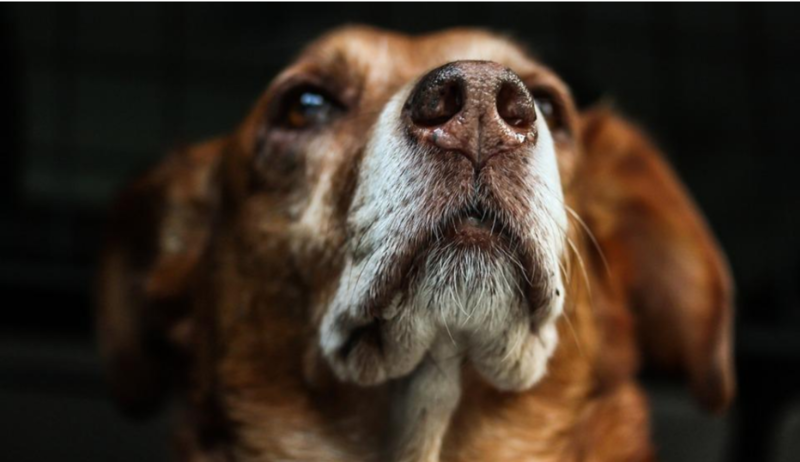 By smelling urine samples and volatile organic compounds, dogs can detect the difference of prostate cancer and ovarian cancer. The subtle sense of smell of the dogs can also identify low blood sugar in people. They can alert them if their sugar dropped or is about to drop by sensing the scent of sweet or acidic fluctuation. Diabetics who are insulin-dependent can have very dramatic changes in their blood glucose levels and can collapse without warning. In these situations, trained dogs can alert them to take the necessary measures and save lives. Even untrained dogs are able to alert their diabetic owners. Dogs can sense when their blood-sugar levels are low or when they are about to decrease considerably. This is because dogs are able to smell the chemical changes in a person’s breath and skin that appear as a result of accelerated changes in blood sugar levels. Studies conducted by Harvard scientists concluded that over the years, living in the company of humans, dogs have adapted genetically, and they’ve formed special abilities to decode human emotions and intentions. 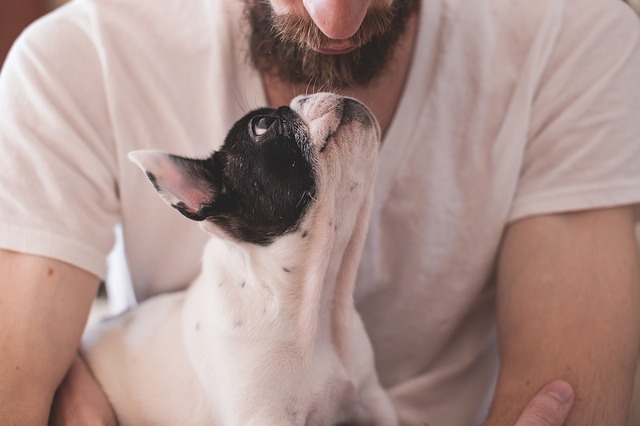 Beyond their abilities to sense humans’ energy and emotions such as fear, sadness, and nervousness, dogs tend to mimic their owners’ behaviors and moods. A popular known fact is that dogs can sense when someone is afraid so their reactions is to behave aggressively in order to protect their owner. This is because dogs have more scent receptors in their nose and can smell the substances that human body releases when experimenting with fear. Generally, a stressed person tends to sweat and his body releases adrenaline. The blood starts pumping faster and releases pheromones that float through the air. Pheromones can be easily sniffed by dogs’ noses, some of the dogs taking advantage and becoming aggressive. Another interesting fact is that dogs notice details that humans don’t. They detect tensing, facial micro-expressions, and other types of behaviors and signals that announce the fear. Dogs are also very good detectors of sadness and they try to comfort their humans. Usually, a dog that notices his owner is sad, tend to put his head on his owner’s knee, snuggle up, whine or give him a lick. Studies in canine neuroscience revealed that dogs’ brains have a small part dedicated to detecting emotions in human and dog voices. Therefore, dogs are able to identify if a person is sad by the sound of his voice. Another amazing ability of dogs is that they know when a woman is pregnant because they can smell hormonal changes in her body. They can notice even the different way a woman moves later in her pregnancy. They are subtle observers of the changes that appear in a pregnant woman’s emotions. Furthermore, when a woman’s water breaks, dogs can smell the amniotic fluid and they are aware of what is about to happen. They tend to become protective or anxious some hours before a woman goes into labor. Dogs also sense emotional changes when a woman’s labor is about to begin and can also detect physical movements that a woman may not be conscious of. These are some of the most important and appreciated abilities of dogs that can change people’s lives. Science has an important contribution to the development and research of these specific capabilities. But, beyond all these scientific arguments, dogs are empathetic beings that truly care for their owners. They are amazing companions that aim to adjust themselves to better fit in their families. Troy works as a Marketing Executive for PremierPups and Premier Pups Reviews. He is passionate about animals and loves to help people find the right dog for them. In addition to reading and writing about animals and psychology, Troy enjoys spending quality time with his beloved dog.